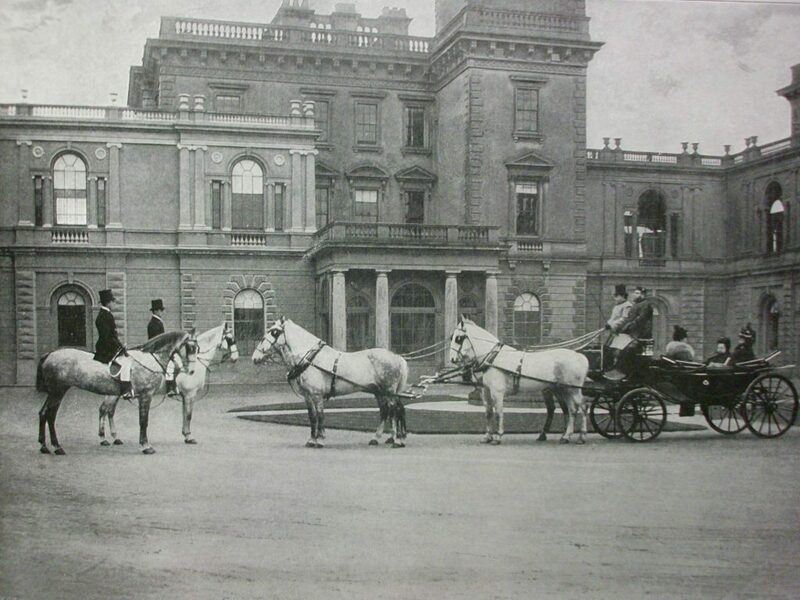 Queen Victoria and Prince Albert bought the Osborne estate in 1845. Their aim was to create a private home away from court life in London and Windsor and to provide a retreat reflecting a more ‘normal’ experience for their growing family. Osborne with its house and grounds was used by Queen Victoria for more than 50 years as a place where she could entertained foreign royalty and visiting ministers as well as enjoy her own extensive family. When they first bought Osborne the existing house was too small for their requirements. Prince Albert commissioned Thomas Cubitt, a master builder and developer of much of Belgravia in central London, to advise him on the best way to improve the house and grounds. Cubitt recommended demolishing the old house and to build a new house more suited to their requirements. He then collaborated with Prince Albert to design the more appropriate building that can be seen today and which was finally completed in 1851. The Swiss Cottage was built for the royal children in 1853-54, and is situated within the grounds nearly a mile to the east of the house. The family could ‘escape’ here and live a ‘normal life’, where the children could play, learn to cook and grow their own fruit, vegetables and flowers. The design of the formal gardens around the house and the transformation of the parkland was supervised by Prince Albert and comprises of an extensive network of walks 21 miles in length including a route around the perimeter of the park. This was all completed by 1864. However, sadly, in 1861, at the early age of 42, Prince Albert died and Osborne lost its principal creative force. Prince Albert’s early death plunged Queen Victoria into a deep mourning that lasted for the rest of her life. After Prince Albert’s death Queen Victoria found comfort and consolation at Osborne, and took up full-time residence. She died at Osborne in 1901.